Lynchburg, VA− Occupy Wall Street and National Basketball Association labor negotiations are perfect examples of all talk and little listening, at least not real listening, in today’s society. What if these problems could be solved through changing the way people listen? Dr. John Brunstetter, author of the new release It Only Hurts When I Listen, suggests “radical servant listening” would revolutionize our society, home and the workplace. “The main reason for social unrest is escalating communication failure accelerated by poor listening,” said Brunstetter. In his book, Brunstetter uses his 26 years of extensive research to create a tool kit that provides a personalized listening assessment and other helpful tricks to become a better communicator. This book will teach the reader how to listen and respond to others, using five listening languages: Analyzer/Planner, Taskmaster/Doer, Participator/Relater, Energizer/Innovator, and Flexible/Adapter. 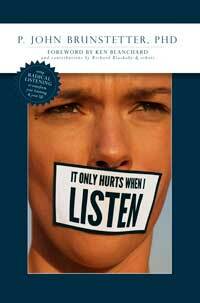 It Only Hurts When I Listen integrates invaluable contributions by author and president of Blackaby Ministries International, Richard Blackaby, management expert and coauthor of The One Minute Manager, Ken Blanchard, and other experts, to deliver a tool kit for harnessing the transformative power of listening in every relationship. Brunstetter’s listening techniques will increase mutual trust, openness and care in every relationship. 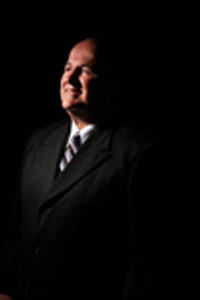 Dr. John Brunstetter, an Energizer/Innovator listener, is the CEO (Chief Encouragement Officer) for Team Interplay LLC. “Dr. John” also teaches in the Masters of Counseling program at Liberty University. One of Dr. John’s long-term clients has been the Ken Blanchard Companies for whom he has been a technology provider for almost 10 years. In addition, Dr. John has been an Organizational Development (OD) Consultant to WD40, Qualcomm and a variety of high-tech and manufacturing companies. Dr. John is also working to provide communication technology and training to The Stewardship Alliance, Ronald Blue and Company, Family Wealth Partners and other wealth planning companies. These organizations also use the communication technology to develop and grow relationships with internal staff and external clients.